MARS HILL – Lenoir-Rhyne University completed a three-game sweep of Mars Hill in baseball on Sunday, winning 7-5 to move a win away from a .500 record. The Bears (20-21, 7-11 South Atlantic Conference) opened the series on Saturday with wins of 13-8 and 16-4. Mars Hill dropped to 16-22, 4-16. 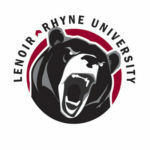 LRU’s next game is Tuesday at 5 p.m. at Barton. The Bears are in sixth place in the SAC, two games behind Wingate and a half-game ahead of Carson-Newman. Newberry (S.C) leads the league at 16-2, trailed by Lincoln Memorial (15-3) and Catawba (17-4). The top eight teams get into the SAC Tournament, scheduled to start April 25 in Kodak, Tenn.
Will Jones and Clayton Jeffries hit home runs for the Bears, who had an early 3-0 lead before the Lions scored four runs to grab the lead. Five LRU players had at least two hits and the top four batters in the order combined for seven hits and five RBIs. Matt Freeman led the Bears by driving in three runs and Jeffries and Jones each drove in two. LRU starter Jake Conroy held Mars Hill hitless through four innings. He exited after giving up four runs in the fifth inning, with Hunter Martin working 4 2/3 innings (one run, four hits, six strikeouts) to get his first win of the year. Hunter Burnette took the loss in relief for the Lions, giving up three runs on three hits over 2 1/3 innings. Kameron Reynolds went 2-for-3, scored twice and drove in two runs to lead Mars Hill. The Bears improved to 13-8 on the road. E.J. Ranel went 3-for-4, Jeffries had two hits and five RBIs and Austin Reid drove in five runs for LRU. Paul Hall worked six innings — giving up four runs on six hits and striking out 10 — to gain his fifth win of the year for the Bears. Mars Hill used seven pitchers with starter Max Poole taking the loss. Hall has had 10 or more strikeouts in three of his last five appearances and has struck out at least nine in all five to rank third in the league in strikeouts. The Bears had a nine-run third innings and scored all of their runs in the first three innings. Jones went 3-for-4 with two RBIs and Alex Reynolds drove in five runs. LRU starer Alex Shirai went six innings, giving up two runs on five hits and striking out a season-high 10, to earn his second win of the year. Troy Hall gave up 11 runs on eight hits in 2 1/3 innings for the Lions and suffered his fifth loss of the season. Mars Hill scored six runs in its final two at-bats. Austin Treadway and Adam Plouffe each had three hits for the Lions.